We use citric acid here in our mill as it is easy to measure, not messy, and not smelly. Available in 8oz packages on the website. Call or e-mail us if you require larger sizes. 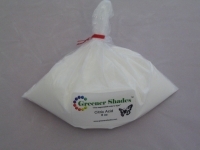 Check out www.greenershades.com for dyeing instructions!